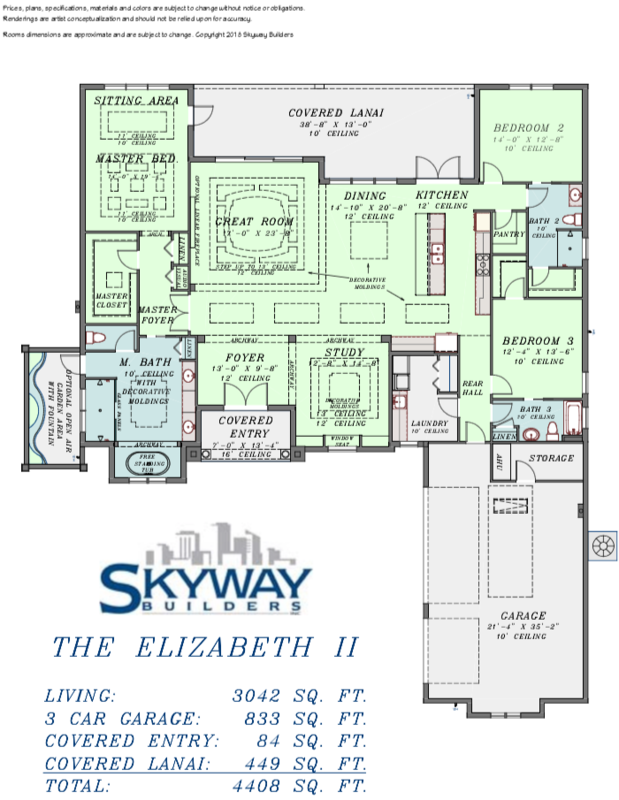 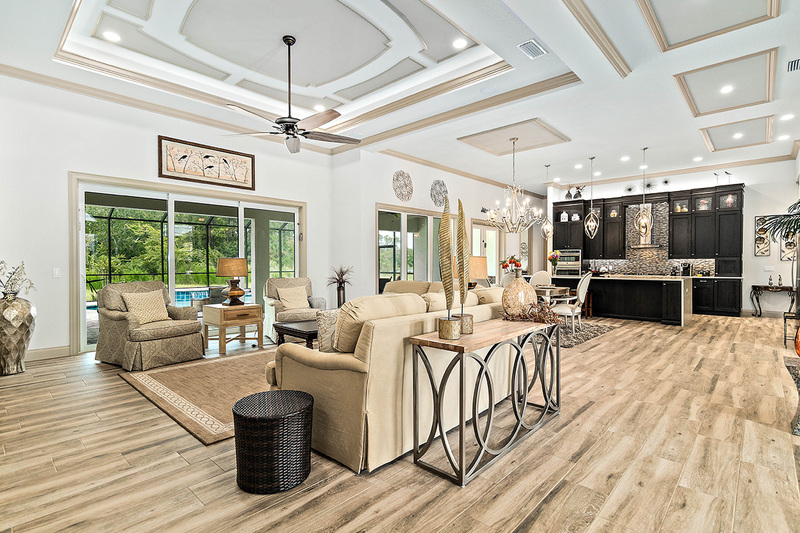 Completed in 2018, The Elizabeth II by Skyway Builders features over over 3000 square feet of living space, with a Master Suite and two additional bedrooms. 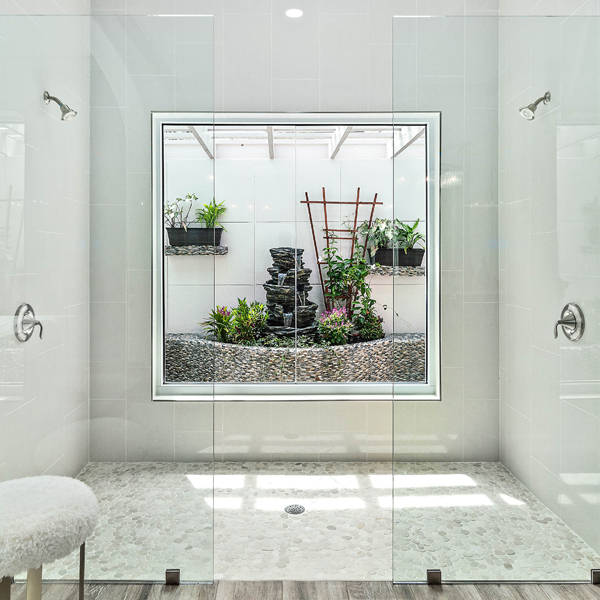 Master Bath with optional open air garden area and fountain. 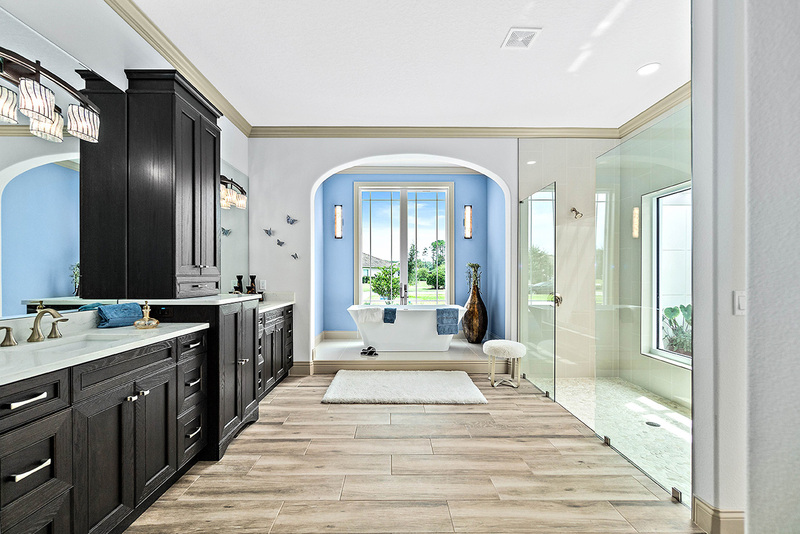 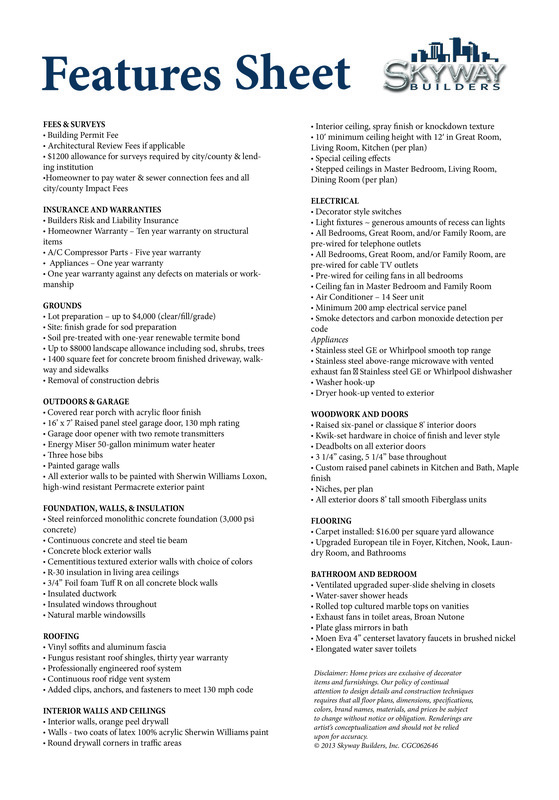 Two additional full baths and Study. 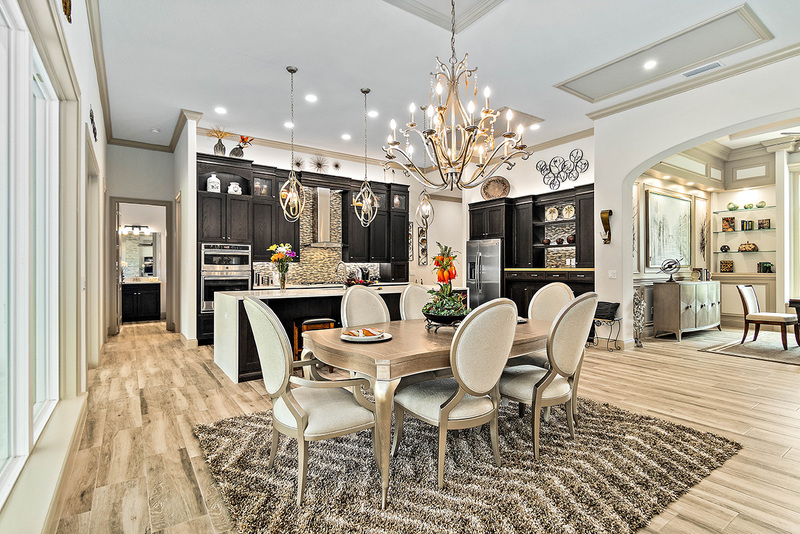 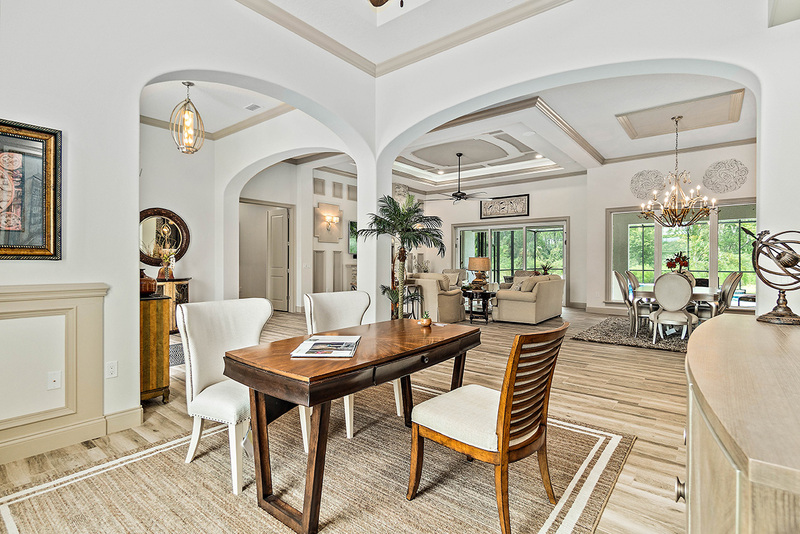 The great room, dining, and kitchen make for an incredibly open and luxurious feel. 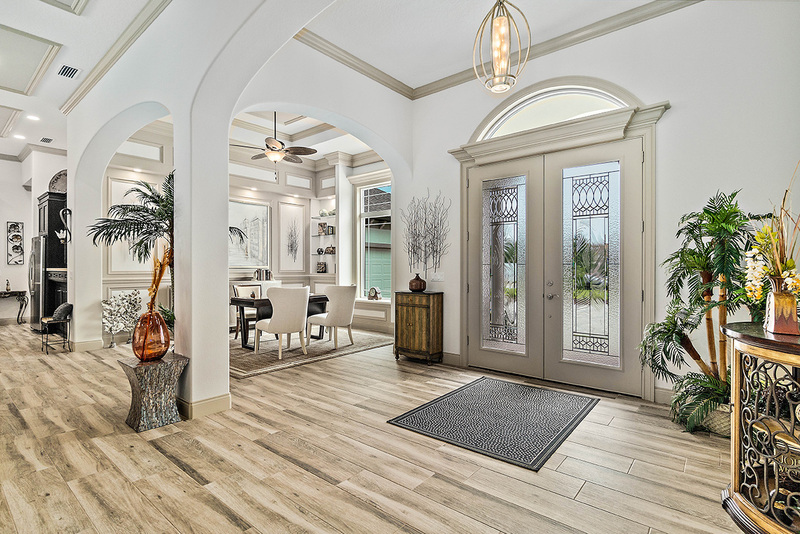 The Elizabeth I was built with smart home technology. 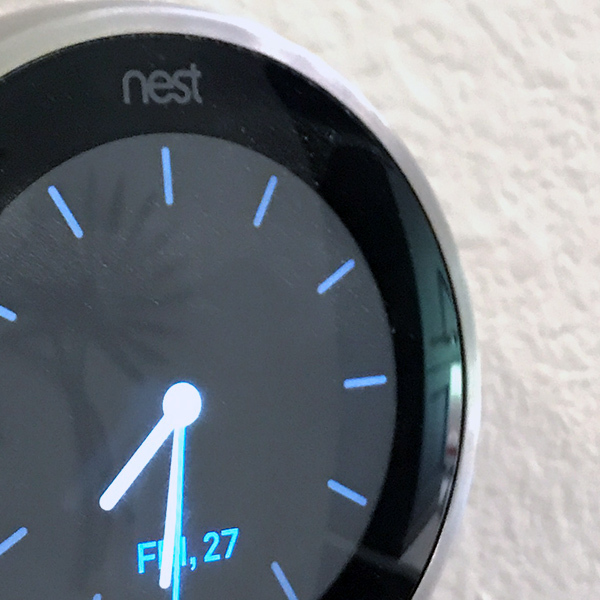 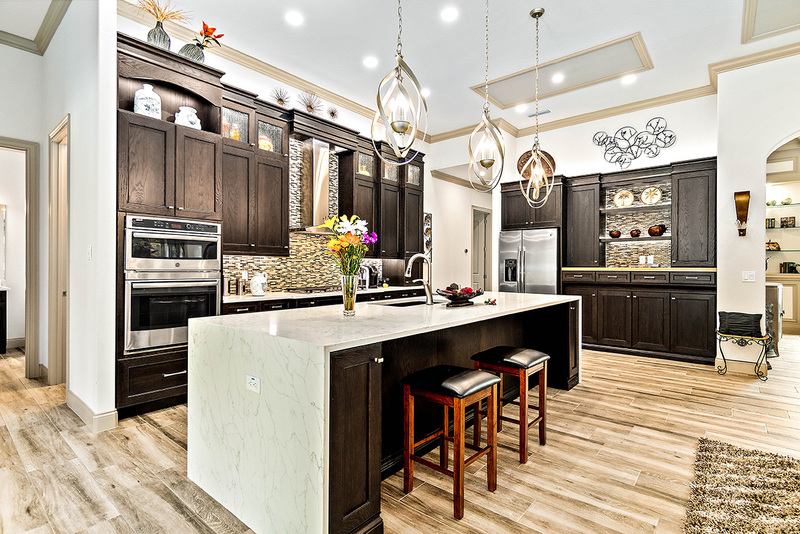 This includes state of the art controls for your home climate, audio & visual, and even lighting. 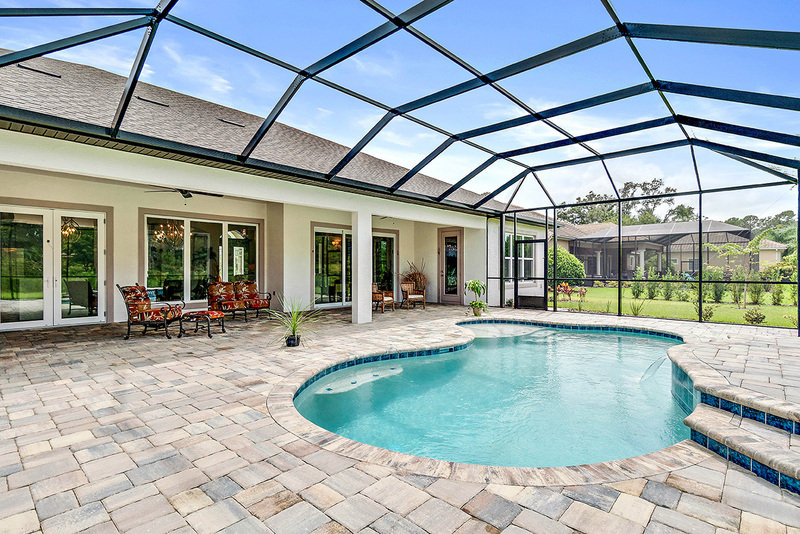 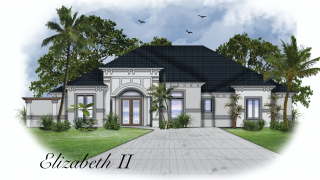 The Elizabeth II Model Home by Skyway Builders features something no other house has in Palm Coast…an Outdoor, Open Air Garden with Fountain. 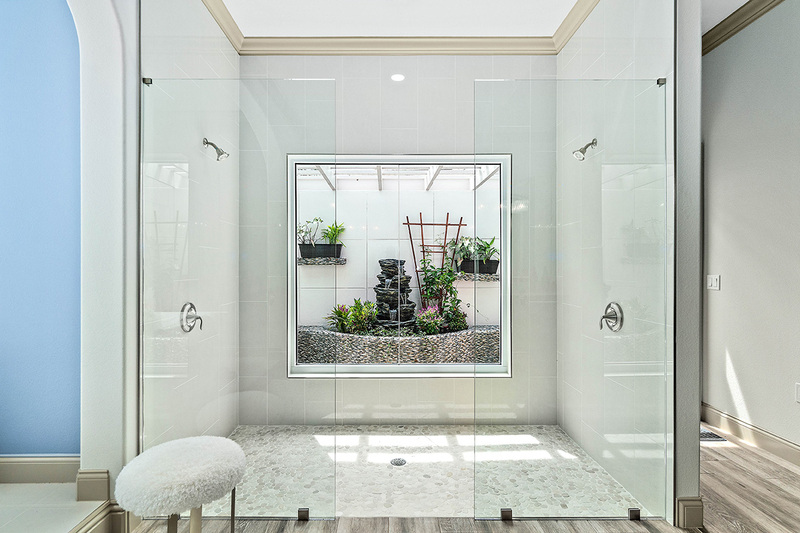 View it from the dual shower, or walk outside, while inside the house to get a breathe of fresh air and enjoy your own private fountain and garden. 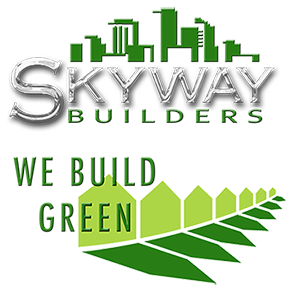 One of Skyway Builders most requested features is for under cabinet lighting. 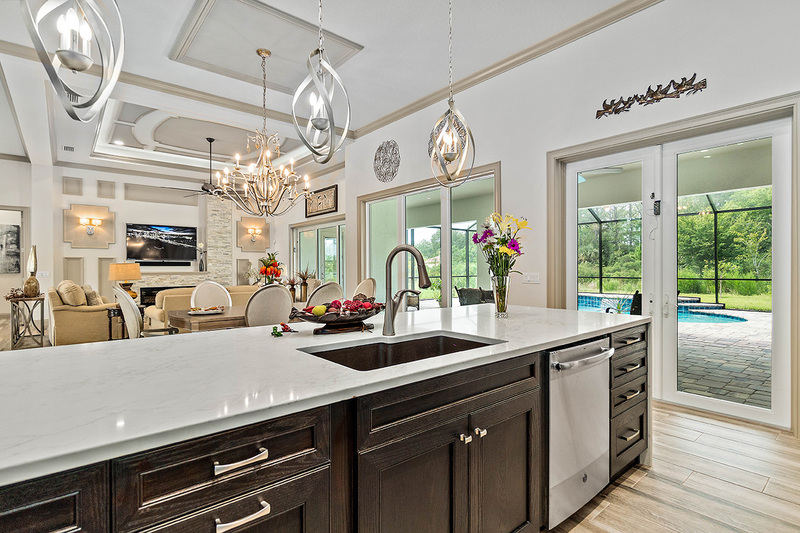 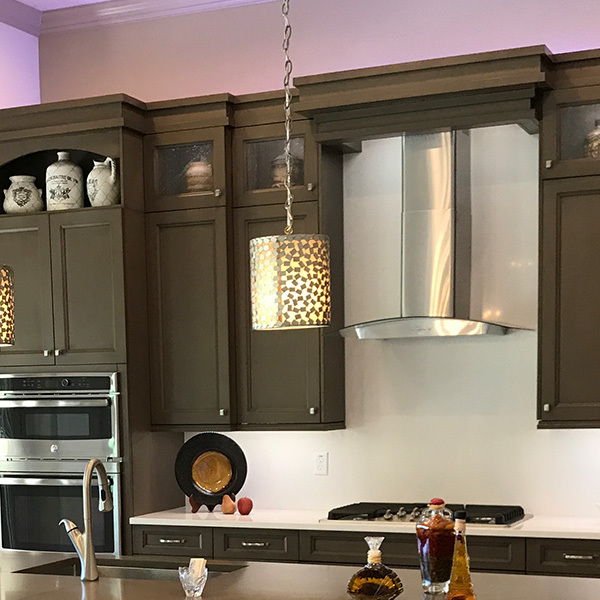 The Elizabeth Model features both under cabinet and above cabinet lighting. 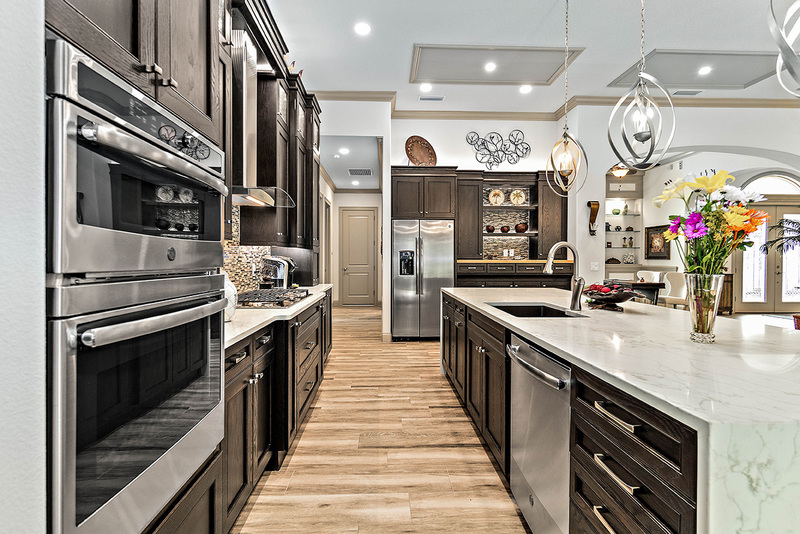 Virtually unlimited choice of colors can really set the right mood and turn a great kitchen into an amazing kitchen.